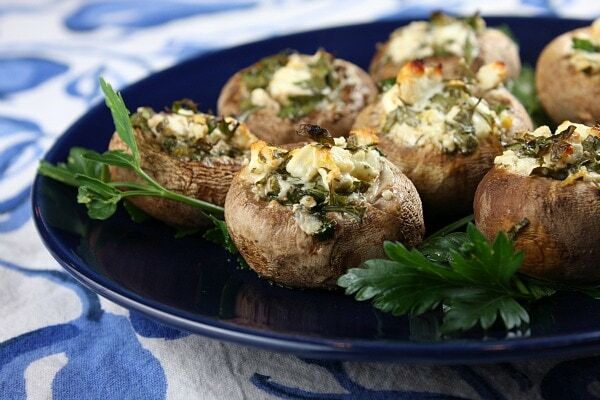 These Feta Stuffed Mushrooms are the best stuffed mushrooms recipe ever. They are such a hit at every party! 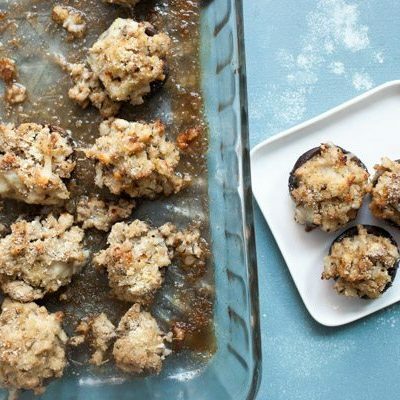 This very simple appetizer recipe is perfect for cocktail hour when you’re watching your calories… only 58 calories for 4 stuffed mushrooms! Preheat oven to 425 degrees F. Spray small baking dish with nonstick spray. Lightly rinse mushrooms and pat dry with paper towels. Pull off stems and save two. Mince the tender portion of those two mushrooms and place in a small bowl. Place mushrooms, stem-side-up, in the prepared baking dish. Add remaining ingredients to the minced stems in the bowl. Stir to mix well. Divide the mixture between the mushroom caps, using a small spoon, mounding the filling into the center of each mushroom. 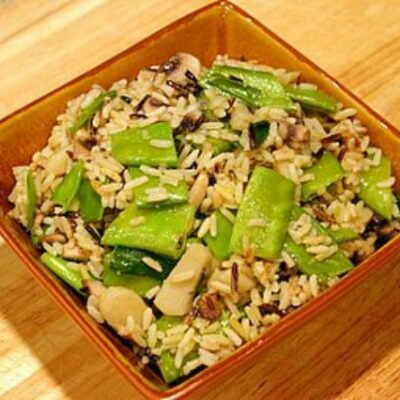 Bake 13 to 15 minutes, or until mushrooms are tender and filling mixture is hot and sizzling. Let mushrooms cool slightly before serving. Use fat-free feta if you'd like- you'll save a few more calories! mmm – these look amazing! I love feta – these will definitely need to be made soon! 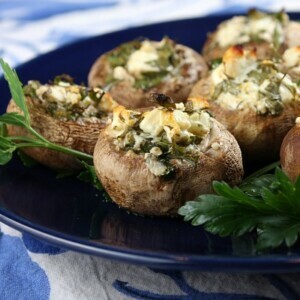 Thanks for the great healthier version of stuffed mushrooms. I’ll definitely be making these soon. I love feta! 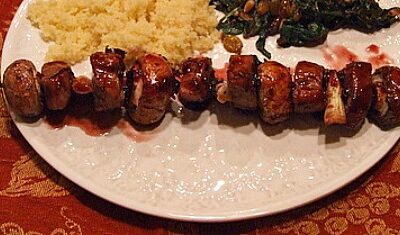 These will be perfect with the low carb items I’m making! I’m so excited to make them! 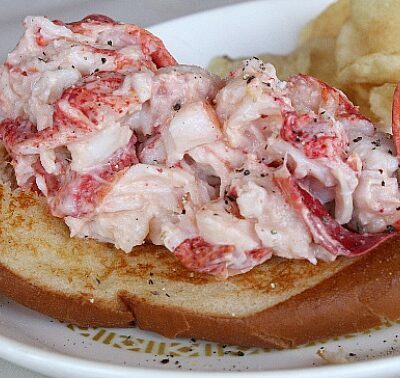 This is great dish. I love mushrooms and feta cheese. The flavors explode inside your mouth with all the other ingredients.